Zugligeti 'Niche' Camping er en campingplass i Budapest, Budapest, som ligger i skogen. Denne terrassecampingplassen og campingplassen med skrånende terreng har steder med avgrensning og med skygge. For sportslige feriegjester arrangerer campingplassen utflukter. Denne inspektøren besøker hvert år Zugligeti 'Niche' Camping og inspiserer campingplassen for ca. 200 fasiliteter og for andre punkt som forekommer. Inspektøren er en medarbeider fra ACSI og arbeider ikke for campingplassen. I am very surprised at so many 8+ ratings as we have stayed in a hundred sites and this would rate in the bottom 5%. It\'s about 30 minute drive into Budapest, which isn\'t too bad. The site itself is very unattractive and the campers/caravans are wedged quite close together in the main area near reception. The tent ;pitches look quite uncomfortable.The lady who welcomed us was friendly and spoke good English but the lady the following night was quite abrupt and rushing us with dinner because she wanted to close up (no matter that it was an hour until closing). The toilets are a bit shabby and there was no hot water for a shower at 9am. I would certainly come to Budapest again because it\'s a lovely city but I would choose a different site next time. Vil du booke Zugligeti 'Niche' Camping eller få mer informasjon? Det går bra med opplysningene nedenfor. 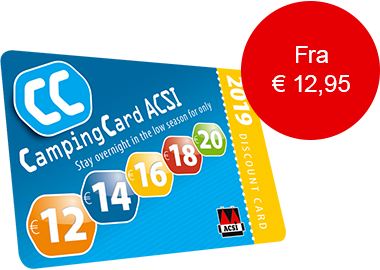 ACSI Eurocampings sender din forespørsel til "Zugligeti 'Niche' Camping".